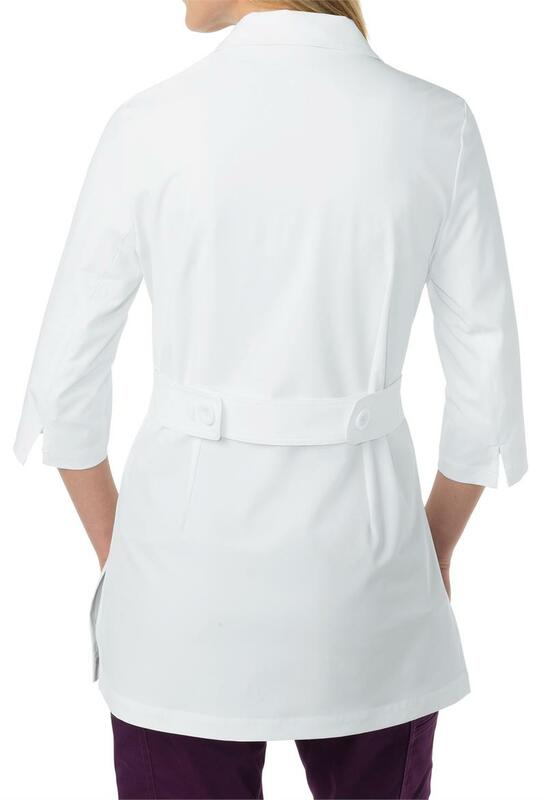 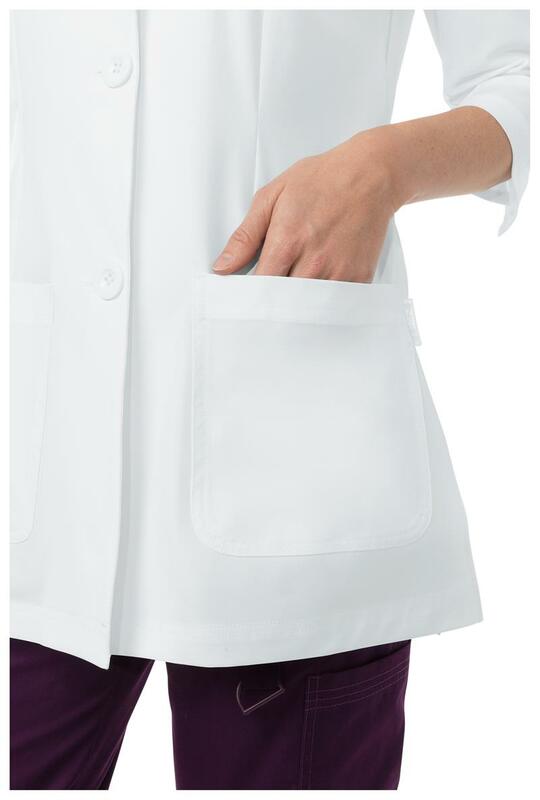 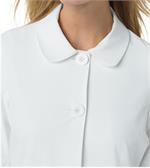 Koi's NEW Amber 3/4 sleeve lab coat features 4-way stretch, comfort, and light as a feather. 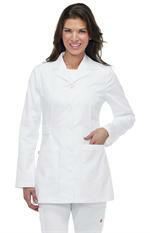 Made of stretch polyester and spandex. Length is 31".